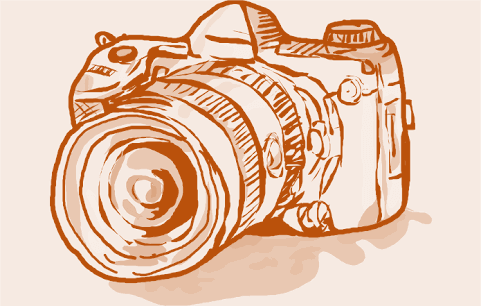 Pictorial essays are consisting of the images that are put together to represent the topic. Different images are assembled together to structure a pictorial essay, it is usually not cluttered with words and sentences but with the images to illustrate the topic through images. These pictorial essays can also work as an assignment help for your upcoming projects. A new way to prepare your essay with different easy tips. Photo essays are exquisite and easy to be comprehended. The illustration is unique and self-detailed through the pasted images. Either you explain it with animated images or traditional pictures or drawings, the clarity is a must while compiling the material. You must have noticed that the blogs and articles are assembled with them and reader can totally get an idea of what the entire article is all about. These images help in comprehending the jist of the topic. In other words, it can be meant this way that pictures are the main tool for the writers. How can you define your thoughts via images? Understand the topic well, so it is easy for you to manage the images accordingly. Moreover, this will also be attractive for the readers to get the essay conveniently. Try to make your content accurate as it is an essential ingredient to make your pictorial blog a success. Accuracy is important in the content to support your ideas. The coordination of images and topic should be allied by a string. Your essay should be presentable and innovative. Your content must be logically satisfactory. What is the most important factor to be considered? Readable images on any gadget. These factors should be considered in the formation of an essay. Try to make your essay creative in terms of catching an eye on it. Think that who is going to read it? If a reader is not building up an interesting story building within the essay than it may not gain much fame. Your essay must serve the purpose of the inserted pictures. Pictorial essays are challenging to some extend because there is no description or lengthy sentence explanation like other essays or articles. Writer must compile the suitable images to present the topic aptly. It is important to know count your credibility while collecting material from different sources. You cannot just start adding pictures and copy paste it, instead you must know your direction. Always check your relevancy of the material to reveal the story of the essay with the help of these images. Your focus should be more towards presenting the pictures rather than drafting. You can create your essay with different prospects, such it can be a slide image essay, or GIF essay, or stills can also be included as long as you are presenting your idea thoroughly.